My favorite oil has yet another use, and the results are pretty miraculous. 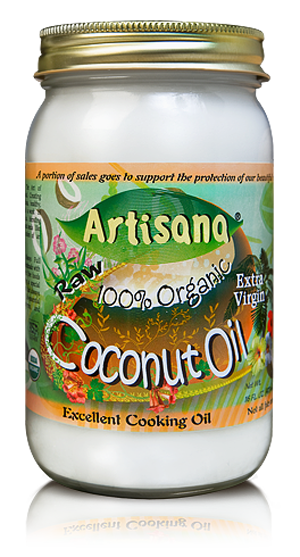 I learned of oil pulling just a few years ago, and recommend it all of the time. If you want whiter teeth, less plaque, and healthier gums, give this simple process a try. Oil pulling is a remedy from the practice of Ayurveda, which is a system of bringing your body, mind and spirit into balance naturally. Ayurveda originated in India, over 5000 years ago, so it is steeped in tradition and practice behind the teachings. I love this simple Ayurvedic detox, as it is inexpensive and easy to do, and gives you tremendous health benefits. It is fantastic for oral health: strong, white teeth with less plaque build-up, a stronger jaw, better breath, and healthy gums. Beyond all of that, there are all kinds of claims that it helps with digestive issues, kidney support, migraine relief, congestion relief, and getting rid of bacteria, parasites, fungus, and more. To begin, all you need is 1-2 tablespoons oil, either coconut or sesame. 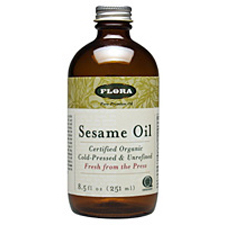 Sesame oil is the traditional Ayurvedic oil, but coconut oil also works really well. Whichever one you decide, please use organic oil, as you are going to be pulling out toxins, so you don’t want to add more back in. It’s also a good idea to rotate using both of the oils, so that you get the benefit from each. Here’s how: First thing in the morning, before you’ve eaten or brushed your teeth, place the oil in your mouth. Gently swish it around, getting it into your gums, between your teeth, across your tongue, and even across the back of your throat. Just DON’T swallow the oil, as it will be gathering bacteria as it goes. Keep moving the oil around, for at least 10 minutes, and ideally up to 20 minutes. Make sure you aren’t overworking your jaw muscles, you don’t want to give yourself issues or tire out too quickly, otherwise 20 minutes will feel like hours. If you do it correctly, you won’t feel overly fatigued. When you’re finished, rinse your mouth really well. Some people recommend using water with a pinch of salt, but just use plain, filtered water also works. Make sure you work it through your mouth to wash off everything you’ve just detoxed. I recommend using a tongue scraper at this point, then brush and floss as usual. Most people are pleasantly surprised at how clean their mouths feel, and how much easier their dentist visits are, with all of the improvements they see. You can safely do this as often as you’d like. I recommend 2-3 times per week, just try it and see what works for you.